What’s in the box? ……………………………………………….I get asked this a lot as I travel across the world for work with my bike in tow. I work for the technology and strategy company Ciena. Ciena is one of those companies who everybody uses but nobody knows about. The equipment and solutions Ciena builds light up the fibre optic cables and networks all over the world that provide access to the internet and data networks. I work in a team that looks at different market segments and works out where Ciena fits and how to shape the products, solutions and technology to meet the customers needs. I specialize in the mobile world and in particular what is happening for 5G and it involves speaking to Ciena’s customers and potential customers, industry partners and bodies, standard forums and other technologists all over the world. It is fascinating, exciting and at the same time daunting. I am a firm believer that technology can be used to do so much good in the world and am excited by the possibilities and experiences that it can open up. As I travel a lot and enjoy cycling, (I took up cycling again a few years ago to offset the spread of middle age (see this post ), I decided that wherever possible I would take my bike with me. My first business trip with my bike was a couple of years ago to attend a technology forum at Ciena’s R&D labs in Ottawa. The trip was successful in that my bike made it safely to Canada and with the early morning jet lag I also got the time to go out on the bike ahead of meetings. Since that first successful trip I have endeavored to do the same again, with varying degrees of success. Will I feasibly be able to get out for a ride during the trip? Will it be dark in the morning before meetings and get dark early in the evening after the working day which means cycling would be hazardous. Am I staying in one place or doing a multi-city/country visit? This means will I have to pack/unpack the bike many times. Do the airlines that serve that country/city allow bike transport? (this is a blog piece all of itself). Being a frequent flyer with airlines helps. If all that works out, then I also try and plan a few rides using information from the web or local sources. I then save these rides in strava and load them onto my bike computer (Garmin 810) with an updated basemap created from the openstreetmap project on the web. I’ve written another blog piece on planning routes and the sources I use, click here to read it. 2. Use a hard shell bike case. I use a Polaris Bike Pod, which is supplied by my local bike shop, The Bike Centre. Previously I have also used the BikeBoxAlan. Both are great hard cases which I have found protect my bike and the contents really well. Both are lightweight which helps with the airline baggage weight limits but sturdy. 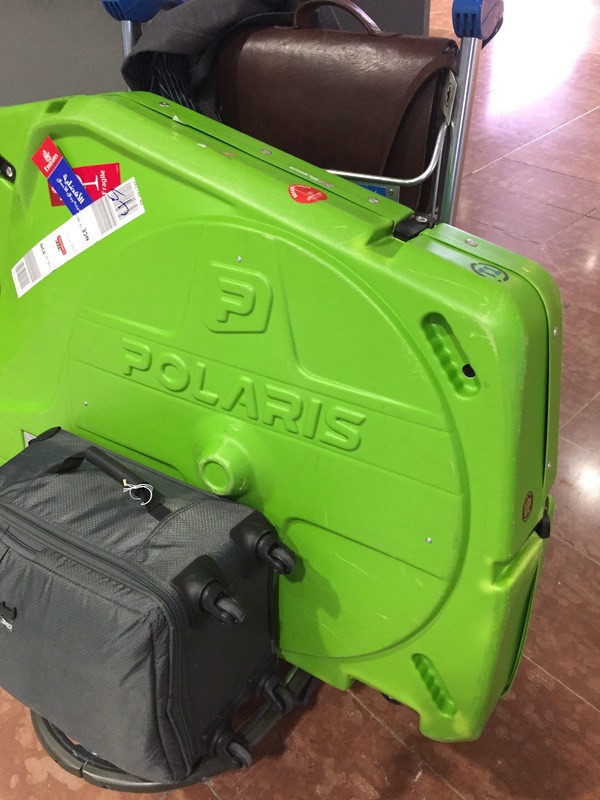 I have a slight preference for the Polaris bike pod as it is a bit more streamlined than the BikeBoxAlan and so fits in cars better and is a little easier to tow around the airport. I have found these hard cases to give just a little more resilience to the sort of travel I do. 3. Add extra bubble wrap and padding to whatever is supplied. It will keep your precious stead from getting scratched or worse. I normally add a generous amount of bubble wrap around the rear derailleur , seat post, drivetrain and around each fixing/attachment/strap point to give a little extra protection. Also when packing my helmet, shoes and clothing I put them in bags that I don’t mind getting a little oil on if they become in contact with greased parts of the bike. 4. Pack a spare rear hanger – It’s good practice anyway regardless of traveling but it can save a bike trip. 5. I include a bike towel, I don’t feel comfortable getting grease and stuff all over the hotel towels or hotel room carpets when building or packing my bike. 6. I pack my bike computer in my laptop bag. 7. At the airport take the carry/tow handle off the bike box when handing over to baggage handlers and carry the tow handle in hand luggage. The bike box I use has a detachable pull handle to help when wheeling the box around the airport. Unfortunately this can get snagged in the baggage systems of airports. I had the misfortune to have this happen to me when the baggage ticket was attached to it on a trip from Atlanta to the UK via Toronto. The handle was snagged in the machine which broke one of the latches and the baggage tag slipped off at Toronto meaning they had no idea where to send it on to for the connecting flight to London. It took 8 days to find and ship back to the UK the bright green bike box with distinguishing stickers on it. This leads me on to the next two points. 8. Have the check-in clerk attach the baggage tag to the side of the box and not the handle (if the box has one). Also then take the individual little stickers that are on the baggage tag (there are normally at least two more) and distribute them around the box. Just in case the main baggage tag gets ripped off by something. For the consequences of not doing this see the previous point. 10. Be prepared to wait a bit longer at the baggage claim carousel. 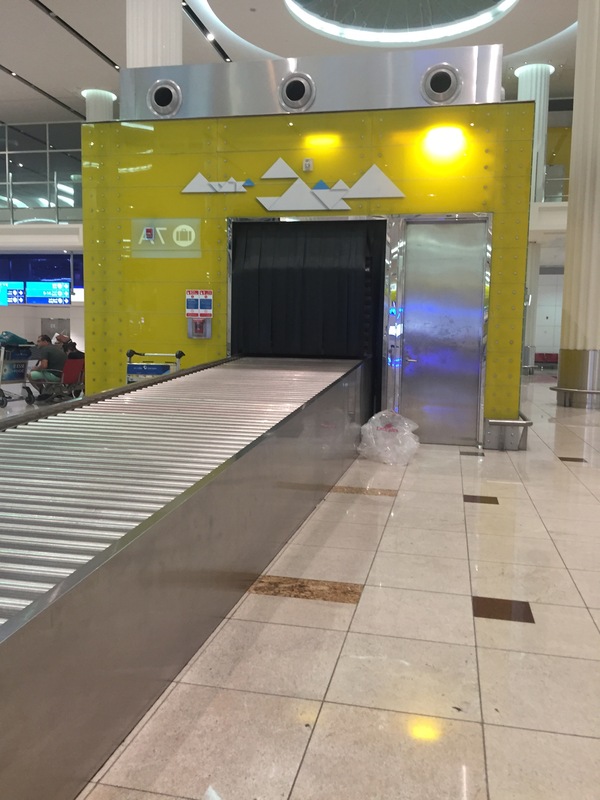 Invariably the oversized luggage area is not near the carousel that your flight has been assigned too and the quality of the oversized luggage areas & service varies immensely. The longest I have waited and the bike box has arrived has been 65 minutes. (That was at Sydney airport). Follow my progress this week. You can get live updates on my progress on the Haute Route Alps this week through the following mechanisms. Training must follow my work..
… which isn’t so bad if work requires me to fly to the other side of the world where it is the height of summer. Not great if the location is in the middle of winter. Very confusing if one’s travel is via both in the space of a week. I have just got back from a recent business trip that took me from the UK to Washington DC (landing right in the middle of the protests surrounding President Trump’s executive order restricting travel from certain muslim countries), and on to San Francisco before doubling back to the UK and then across the equator to Sydney, Australia. 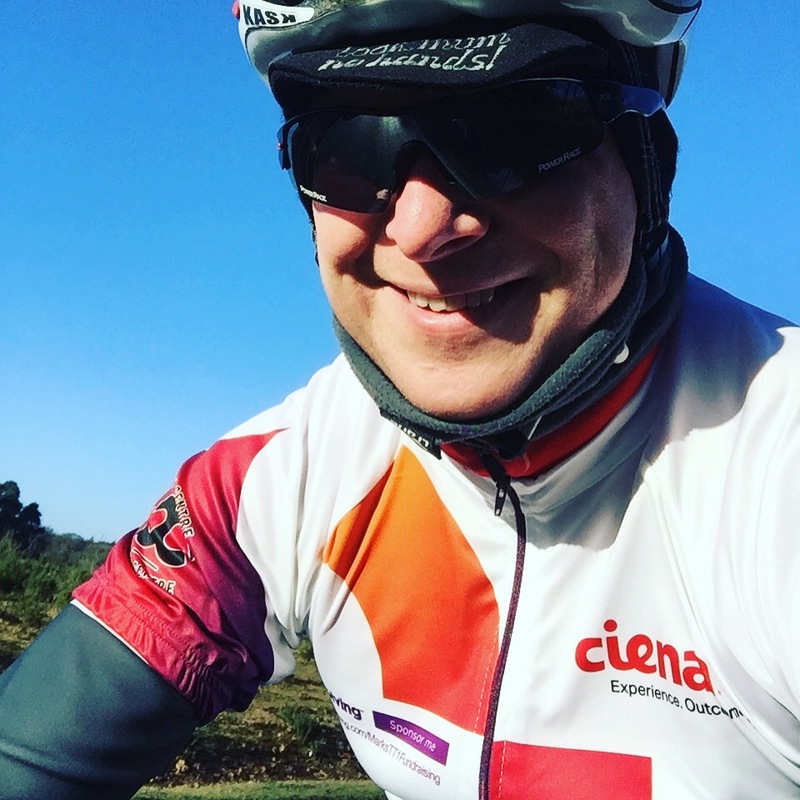 Thanks to the company I work for, Ciena I have 15 cycling training shirts specifically designed for my fundraising effort for the Haute Route 2017. The fit is “italian” in sizing and I have the following sizes available. Minimum donation is £35 – please donate directly onto the JustGiving page. All of your donation goes to fundraising. 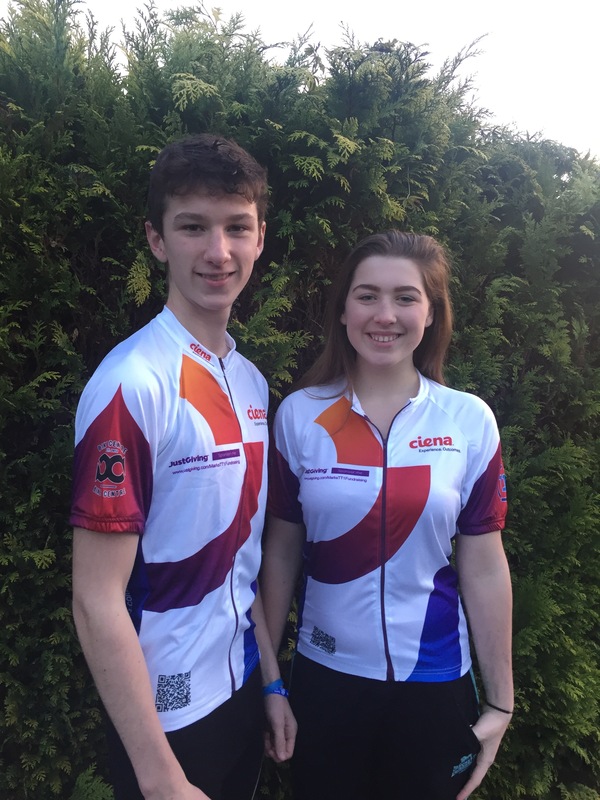 Ciena have covered the cost of the production of these shirts. The shirt is on display at The Bike Centre North Baddersley. I really struggled to get any sleep last night. The incredibly sad news of the murder of Jo Cox MP yesterday has unnerved me somewhat. There are no words to adequately give comfort to her family, her husband and children. A life cut tragically short. What has unnerved me is what this heinous crime represents a horrible low point in a Britain that is divided. There are many truths and facts yet to emerge from what occurred on Thursday and the motivation is not clear yet. I am though unnerved by some of the reaction, commentary and rhetoric that seems to have come to represent the United Kingdom. Hate and divisiveness seem to rule at the moment and the shocking events of yesterday just underline this. I have been a long time admirer and fan of the electric vehicle movement and have deliberated long and hard about whether or not it could work for me. A couple of years ago I test drove the BMW i3 and really enjoyed the half an hour in the car, wishing that I had, had longer with the car. Aside from the initial purchase price and quite worryingly depreciation costs, a major downside for us as a family was that it only had 4 seats. Our second car needs 5 seats.